Secrets of Sabina cooking? Do you want to learn new recipes to amaze your friends? A stay in San Polo in Sabina is also this! You can participate in a cooking class, learn secrets of the poor dishes . We offer various programs. Don’t hesitate to contact our reception for all information you need. 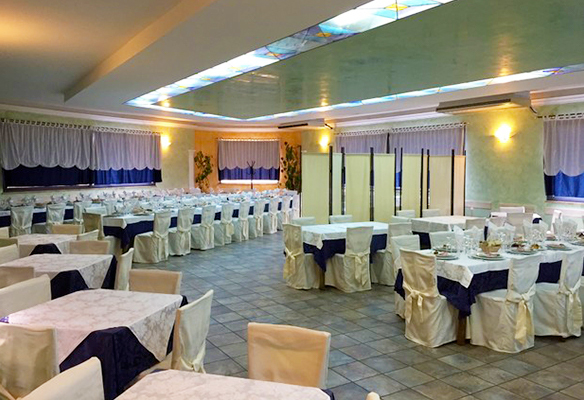 At 5 minutes from the complex you will find a great restaurant run by our family, where you can enjoy good food and ten culinary traditions. 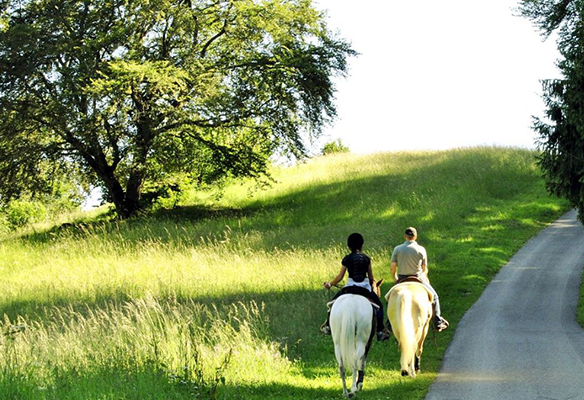 A horseback ride at sunset among spellbound ways absorbed among Sabina hills, single landscapes and unspoiled places. Eqiturist Geronimo, riding and functional rustic where kindness and courtesy are the masters, will give you the opportunity to take lessons in horse and pony rides for children or trekking on horseback. This is also part of an unforgettable holiday in Borgo Nociquerceto. Inside “Geronimo” Equiturist stables ( agreed ) you can make individual lessons of horse with American mounted, reining classes , horseback rides lasting an hour or two and on request horse riding for the whole day with picnic. Here too, children are the real protagonists: For them we have a special program of riding lessons in small groups of various debits who will give them , ad addition Learning to ride , an unforgettable experience in contact with nature. Town is a good starting point for hiking and mountain biking to discover unspoiled places . Real paradise for nature lovers , our territory encases corners of extreme beauty and breathtaking views. Olive groves and vineyards will be the ideal setting for your excursions. Those who love mountain biking are in the right place! Farmhouse Borgo Nociquerceto is at the center of Bassa Sabina , surrounded by medieval villages and natural scenery , olive groves and vineyards with trails suitable for beginners and experts. Starting from the farmhouse you can follow paths from Different Grade and difficulty , for those who want to lead an easy hiking ones and for those who want to challenge themselves with Climbing challenging . You can reach many places of historical importance to visit or come along “Il Cammino Di San Francesco D’Assisi“. Less than 1 km from the farmhouse Borgo Nociquerceto there is Sport center Sabina Taspo. Tennis: 5€ a game for person. Soccer: da 30,00€/ h range. I: In November each year as usual Sabina’s hills began collecting olives . Guests can participate actively in the work of gathering and after Grinding at the Mill. An historical and cultural experience that the excellence of extra virgin Sabina , that will leave unprecedented. Production directly in the Company: Borgo Nociquerceto . It will start with the tasting, where they will explain the organoleptic properties of this marvelous product and will be able to learn the production processes and conservation techniques. Followed by a tasting of the wines produced and selected by our company.